If you’d expect good marketing inspiration to come from somewhere, you’d probably expect it to come from Saatchi & Saatchi. You wouldn’t necessarily associate them with guerilla marketing stunts however, which is what makes this micro marketing campaign even more impressive. 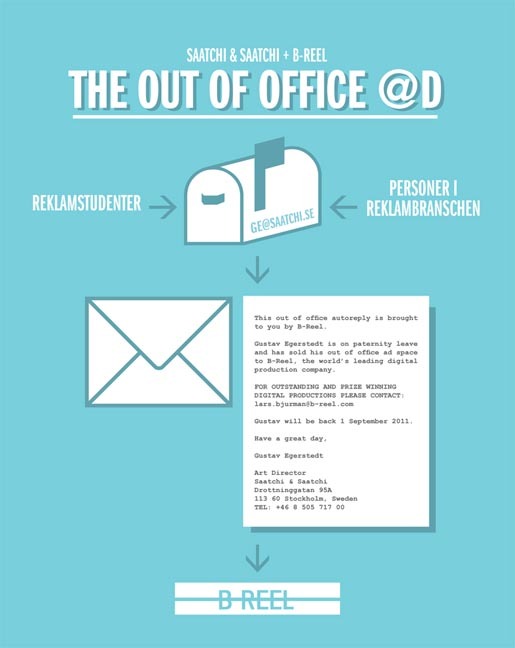 Have you seen any great examples of an out of office? We’d love to see them!